If you’re looking for cheap and portable, the Panasonic FS15 is the most capable camera around. For the most part the FS15 is your typical point-and-shoot ultracompact – it’s 0.9″ thin and 4.1oz light, so you can definitely take it just about anywhere. The most prominent features is the 29mm wide-angle lens, allowing you to get a much wider view for sweeping landscapes or cramped indoor group photos. The FS15 also features an image stabilization system, which helps greatly to reduce camera shake blur in low-light situations. You’ll be hard-pressed to find either of these features on an ultracompact this small or a budget camera this cheap, much less both, which is what makes the FS15 by far the most capable camera in its class. While simple ultracompacts make great cameras for casual snapshots, they don’t quite meet the needs of avid picture takers. While a casual user might go to a party and want to take three or four photos with her friends the whole night, and might not care about quality so long as they’re passable for Facebook, the avid user is someone who’s going on a family trip to Yosemite and doesn’t exactly aspire to be the next Ansel Adams, but definitely wants to take hundreds of pictures to document and remember the whole trip. The workhorse compact is the ideal camera for these users – good, versatile cameras with the capability to handle a large number of common situations from daylight to low-light and cramped interiors to outdoor graduations from a distance, while still retaining fairly simple functionality and a smaller formfactor. The Panasonic ZS1 and ZS3 are the latest in a line of compact ultrazoom cameras from Panasonic – both feature big 25-300mm (12x) zoom lenses that provide versatility for long-range photography and a very wide short range that’s especially useful for landscapes or interiors (the 25mm lens is in fact significantly wider than the kit lenses that come with most DSLRs). The ZS3 features 1280×720 HD video capture and a higher resolution screen compared to the ZS1 – the first might be a worthwhile feature if you’re interested in taking video as well, although for now it comes at a hefty price premium. 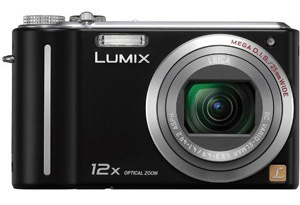 The Panasonic TZ4 is the previous model in Panasonic’s series of ultrazoom compacts. While the newer ZS series cameras provide wider lenses and slightly better high ISO performance, the TZ4 is nothing to scoff at – no other camera outside the TZ/ZS series provides a 10x zoom in as small of a package as the TZ4, and certainly not for the sub-$200 price of the TZ4. Most users who are highly interested in photography – both in terms of having a high degree of control and producing the best images possible – are most likely to be interested in a full-fledged DSLR camera, but there does exist a niche market of high-performance compacts for the same user group. Some might not be quite ready yet to take the plunge into the world of DSLRs, and others may not be interested in the size and micromanagement required of using a DSLR system. Another common form of user in this group is the actual DSLR user looking for a second “social” camera that can be a bit more automated and definitely more pocketable, while still retaining the highest quality and a great amount of user control. It should be noted that these cameras aren’t really the easiest to use or most versatile; in many cases they’re actually very specialized and limited in use, and require a strong technical proficiency to get the most out of the images, but in the right situation and in the right hands, these can be far more capable than your typical compact camera. 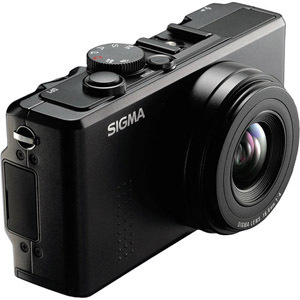 The Sigma DP1 is perhaps the epitome of the high-performance compact category. It’s an extremely limited camera – it’s only got a fixed 28mm lens (no zooming at all), which makes it ideally suited for landscapes or interior photos, but leaves it absolutely useless for things like sports or other long-range events and doesn’t provide the working versatility useful for travel or portraiture. Despite this, it’s close to a photographer’s absolute dream in a camera: it packs an extremely large 276mm2 sensor that enables it to achieve much better noise performance, a very large dynamic range, and provides the option for shallower depth of field compared to nearly every other camera this side of a DSLR. It also features a RAW mode and a hotshoe for use with external flashes, as well as fully manual exposure controls. Sigma also makes the DP2, which is the same camera paired with a 41mm f/2.8 lens – even more specialized for low-light photography and perhaps a bit better for portraiture, but in a bit of a no man’s land in terms of focal length: a very difficult range to capture landscapes or interior photos, and still not anywhere near close enough for long-range photography. 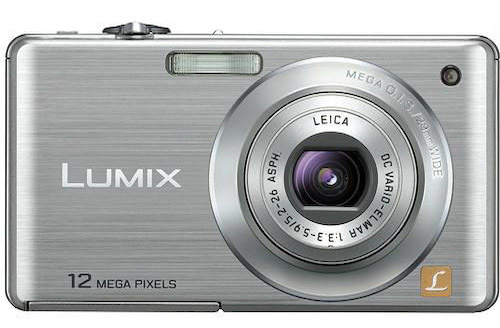 The LX3 is the most recent in a line of high-performing and unique Panasonic cameras. The LX3 concentrates mostly on the wider end of the zoom range: it features a 24-60mm zoom that won’t zoom very close at all (useless for any kind of sports or long-range event, and not quite passable for good variety in portraiture and travel), but provides one of the widest angles of view on any camera this side of a DSLR system. 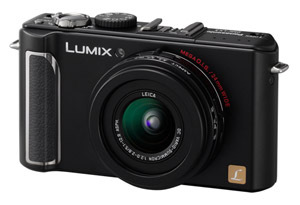 The LX3 also features a RAW mode, manual controls, and a hot shoe for external flashes. Quality-wise, the LX3 ranks among the very best non-DSLRs out there, probably only behind the Sigma DP1/DP2 in image quality, and combined with its very large f/2-2.8 aperture lens (which at its widest takes in 4x as much light as the DP1’s f/4 lens, for instance) makes for arguably the top low-light camera around. 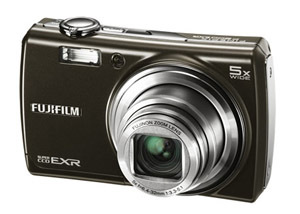 At the cutting edge of non-DSLR sensor technology today is Fujifilm’s SuperCCD EXR sensor, currently found on their F200 EXR ultracompact camera. The F200 EXR boasts a number of unqiue attributes, chief among them the ability to effectively bin pixels in a lower resolution mode to achieve much higher sensitivity/noise performance, and pixel-variable gain to allow for an extension of dynamic range. The F200EXR carries the other somewhat standard features you’d expect in a typical – 5x zoom with 28mm wide-angle – and is in fact eclipsed in those areas by a few other cameras, like Panasonic’s $313 FX48 (which pack 25-125mm (5x) lenses and 720p HD video capture), but it’s the image quality which puts it a notch above the rest, and decent versatility which makes it an appealing alternative to cameras like the Sigma DP1 and Panasonic LX3 with better versatility. For some casual snapshooters, size is really no object. In terms of usage, these users might use a camera very similarly to how they’d use a simple ultracompact – snapping a photo or two at social events or taking casual photos around the house or room. In contrast to a simple ultracompact, a simple full-size camera doesn’t have portability as its main concern – you probably won’t be able to stuff it in your jeans pocket, and it might even require its own bag – but has a larger formfactor which often allows for better overall image quality. 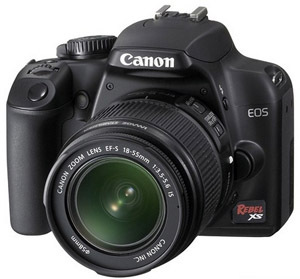 The Rebel XS is Canon’s entry-level DSLR offering. While it’s got all the manual controls for more advanced users, like all DSLRs it has an automatic mode that reduces controls to the level of point and shoot. 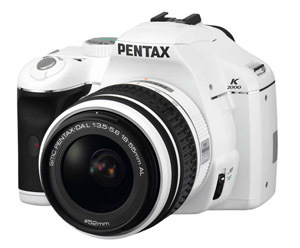 In its price range, Rebel XS features the top image quality, and unlike some other entry-level models features an 18-55 kit lens with an image stabilization system to help steady low-light images. 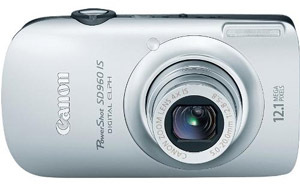 For a midrange budget, there really aren’t any value-added propositions for moving up a size class for this user group – one may as well opt for the Canon SD960 for increased portability. See Simple Ultracompact, midrange above for the description. For the budget price range, there really aren’t any value-added propositions for moving up a size class for this user group – one may as well opt for the Panasonic FS15 for increased portability. See Simple Ultracompact, budget above for the description. The Nikon D5000 is a midrange DSLR that is a bit lighter on features compared to some higher-end models (mostly in lens compatibility and fast-action capability) but packs the same sensor internals as some of Nikon’s premium sports cameras. It’ll provide by far the best image quality in its price range, especially when a high-ISO mode is required (fast action and low-light). 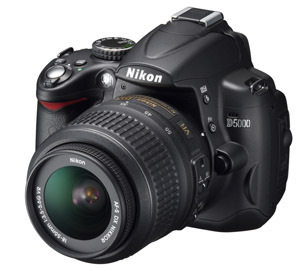 The D5000 is also one of very few DSLRs currently to feature a video mode. The 18-55 VR and 55-200 lens combo will require some lens swapping when switching between short and long-range subjects, but together will provide an extremely versatile range that can cover just about anything. Both also feature IS systems (Nikon calls it VR) to help cut down on camera shake. 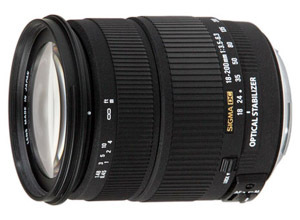 If you don’t require a long range lens, a kit with only the 18-55 VR runs for $773. While not really known as one of the Big Two DSLR systems, and lacking in cameras and lenses at the very, very high-end range, the Pentax offers a solid system for those who don’t imagine themselves ever sending into $1000+ lens or $2000+ camera territory. The K2000 delivers exceptional image quality, though the results aren’t quite as clean or punchy “out of box” as Canon or Nikon cameras. The chief advantage of the K2000 is its low price and inclusion of an in-camera image stabilization system, which helps reduce camera shake even when used with cheaper lenses that have no lens-based IS systems. 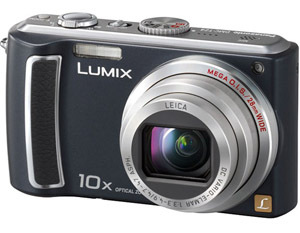 The market for the big, hulking ultrazooms of yesteryear have somewhat evaporated in the budget and midrange categories – for the majority of consumers, the advantages of having a portable formfactor like the Panasonic TZ/ZS series cameras is so enormous that no amount of expanded features or capability would sway them towards a larger camera. Nonetheless, there are certain advantages to larger cameras like the FZ28: even bigger “megazoom” lenses, better ergonomics (there’s much more camera to hold onto), and manual controls that often aren’t found on compact ultrazooms for marketing reasons. 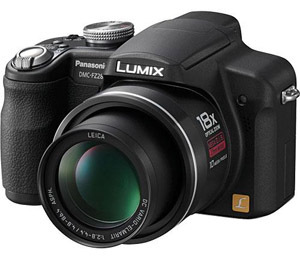 While the traditional ultrazoom cameras like Canon’s S (now SX) and Sony’s H (now HX) series still exist, they’ve somewhat transitioned into a premium niche market – Panasonic’s FZ28 is just about the only one of these to be found for a reasonable sub-$300 price. Compact ultrazooms like the TZ4 have all but wiped out the ultrazoom market in the lower price brackets – thus today you won’t find a more capable budget camera than Panasonic’s exceptional TZ4, no matter how large you’re willing to go. See Workhorse Compact above for the description. This entry was posted on Sunday, June 7th, 2009 at 14:41	and is filed under General. You can follow any responses to this entry through the RSS 2.0 feed. You can leave a response, or trackback from your own site.